The conversation between the elevator in Kone’s Mascot headquarters and the company’s cloud is polite but banal. The regular communications in themselves say little, but aggregated and analysed over time can unearth trends and anomalies the Finnish company says can reduce the number of customer-initiated maintenance call-outs by 60 per cent. 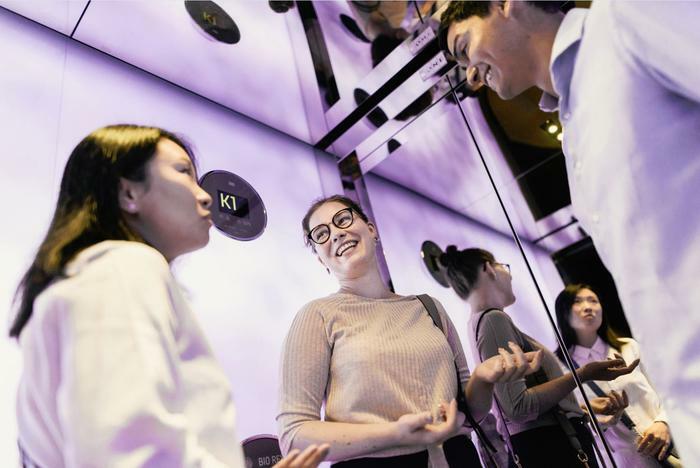 Kone is one of a number of leading elevator manufacturers that have been loading their lifts and escalators with cloud-connected IoT devices and applying machine learning to the readings. The effort is allowing them to predict when faults will occur, and fix them before any disruption occurs. “Normally what happens is the elevator breaks down, we identify the fault and we fix it. Now we’re able to get information prior to the breakdown, maybe detecting a contact slightly failing or aging, where we wouldn’t have seen that before; or a door system wearing and making more reopenings than it would have done,” explains Jim Hastings, Kone ANZ maintenance director. “So instead of going there when people are getting inconvenienced and potentially trapped in the elevator, we’re actually fixing that item ahead of time,” he adds. Worldwide, there are an estimated 12 million elevators – according to manufacturer ThyssenKrupp – which make 7 billion trips and carry more than 1 billion people every day. With multiple points of failure, the machines inevitably breakdown on occasion. At best this means a long wait or taking the stairs, and at worst a terrifying 41-hour ordeal. And when they do fail, maintenance work render elevators unavailable for a combined total of 190 million hours each year. The end game for elevator manufacturers – most of which provide maintenance packages covering their own and rivals’ elevators – is to reduce unscheduled breakdowns to zero and minimise the time they are out of service during maintenance. Machine learning techniques, using data drawn from sensor rich elevators, they believe will get them there. ThyssenKrupp launched what it called “the elevator industry’s first real-time, cloud-based predictive maintenance solution” based in the Microsoft Azure cloud in late 2015. The company says it has 120,000 connected elevators in the US, Germany, Spain and South Korea. Rival Otis launched its connected elevator offering in May. “The platform turns customer equipment data into predictive insights so Otis teams stay ahead of potential issues – keeping equipment running and passengers safely and reliably on the move,” Otis president Judy Marks said at the time. Schindler launched its IoT platform – Schindler Ahead – in partnership with GE Digital and Huawei last year. Kone began piloting its ‘24/7 Connected Service’ in Australia in July this year. The pilot is being run across four Dexus-owned commercial buildings in Brisbane, Sydney and Melbourne. The offering is already available in 20 countries, following flagship pilots at Nanjing Children’s Hospital and Kunming Changshui Airport in China and luxury office complex Humlegården Fastigheter in Sweden. Building managers can view critical faults that required a technician’s visit and maintenance history via an app. “There are sensors on the doors, information from processors on door operation, a control system which dispatches calls and gets information from the drive system, push button functionality, stopping and acceleration behaviour, position and movement in shaft, how long it takes to get somewhere, the volume of usage. All of that information is available to send back to the cloud to make sure the whole of the operating system is functioning as it should,” Hastings says. In some cases sensors to monitor humidity, temperature and vibrations are also fitted – work that takes about an hour and a half for a standard elevator, Hastings says: “we’re working on new items on a weekly basis about what we can look at measuring to add on”. In Kone’s case the data from connected elevators is fed back to IBM Watson in the cloud, and various machine learning algorithms applied. “One of the important things that an online connection to the cloud gives you is the ability to spot trends in advance before they start creating problems,” says John Macleod, IBM Watson IoT technical specialist. “Take the time it takes a door to close; normally five seconds, but it may be gradually extend to 5.1, then 5.2. Nobody’s really noticing it as you get in and out of the lift but the gradual change in time might well indicate something’s becoming sticky and needs lubrication,” he adds. A building manager might not spot a gradual lengthening of door opening times, but with analytics the trend would be spotted. “And then you can act in advance to deal with them rather than waiting for the doors to stick shut and catch people inside the lift,” Macleod explains. “Obviously we’re not there to witness these things. Now the system records it and says this is beginning to fail, so we go back and identify and fix before the unit is physically shutdown because its stopped or a part is broken,” Hastings adds. The machine learning working across different sensor data – and the datasets of multiple lifts of the same type – can also detect if one issue is related to another. “It may be a particular combination of circumstances. The doors are taking longer to close but it only happens on humid days and it’s associated with vibration in another part of the lift. Nobody’s going to be able to spot that correlation in a dashboard, but machine learning can,” Macleod says. The techniques can also help engineers detect the root cause of persistent issues, Macleod said. That will help increase the ‘first time fix rate’ of issues, Hastings adds. “We get a lot more precise information that enables a much quicker resolution. We’re likely to see an increase in our first time fix rate of about 25 per cent due to the new technology,” he says. Hastings says initially the number of call outs for engineers could increase “in some respects, because we’ll be doing more preemptive work” but will reduce over time as visits are made more effective. Ultimately the technology will give people “a more predictable, reliable journey to work” Hastings says. “The system can almost tell the future and get you in there before anybody is inconvenienced. It gives a lot of peace of mind,” he says.